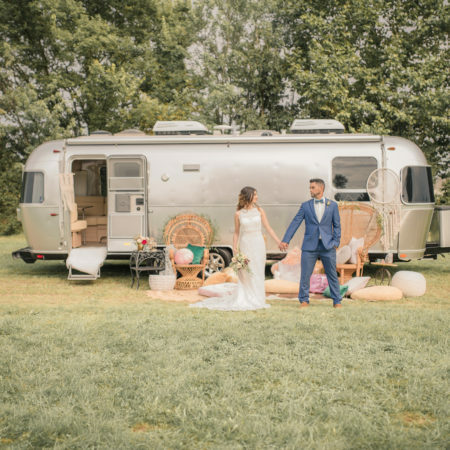 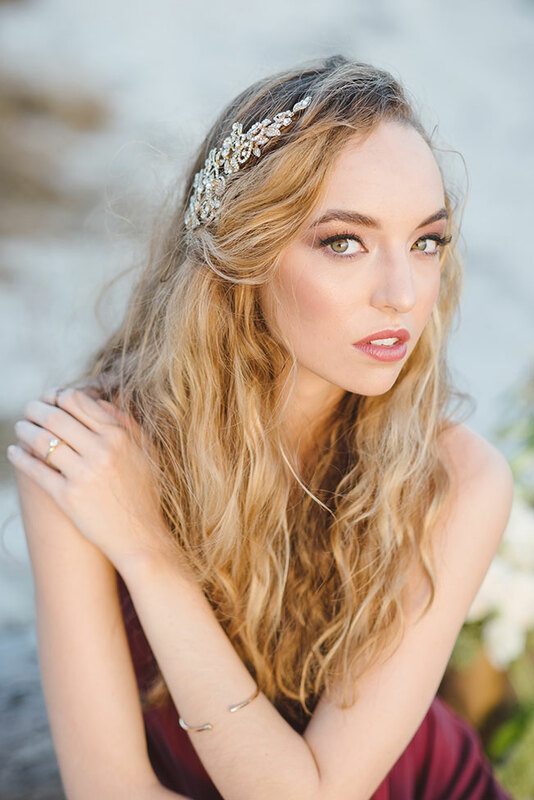 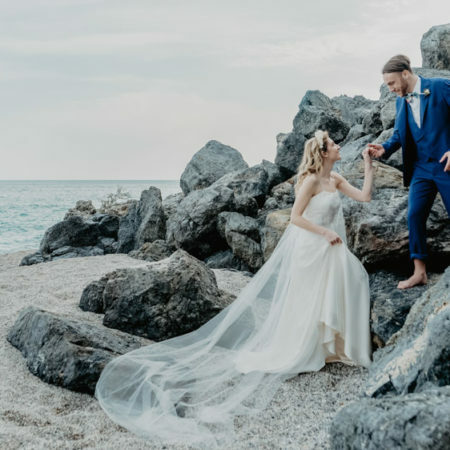 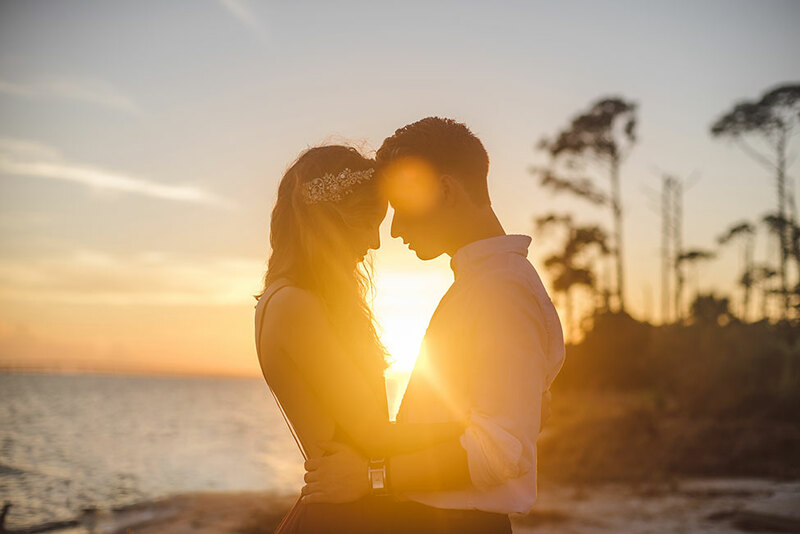 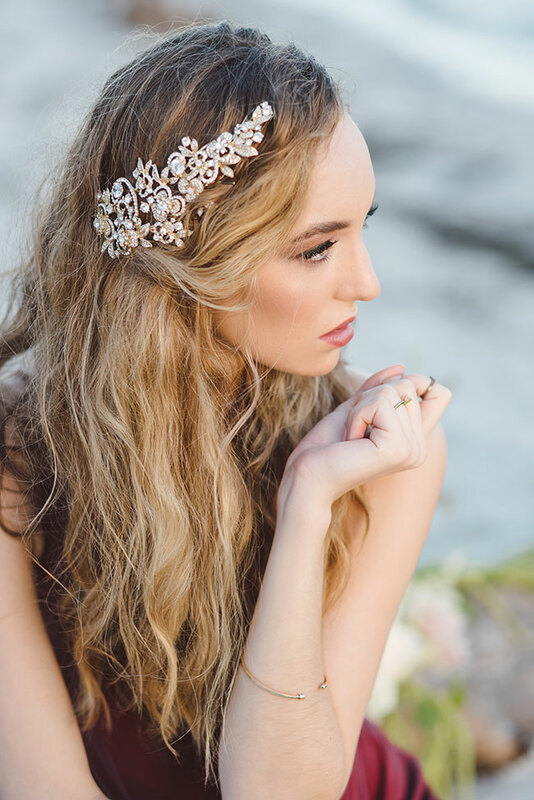 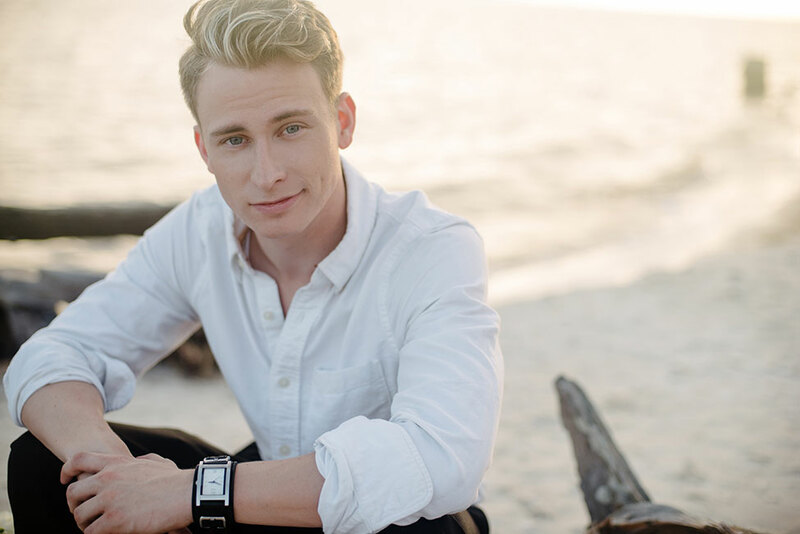 Just in time to get us ready for Valentine’s Day, this dreamy sunset styled romantic beach engagement session from Tennessee wedding photographer Rae Marshall Weddings is the perfect engine rev! 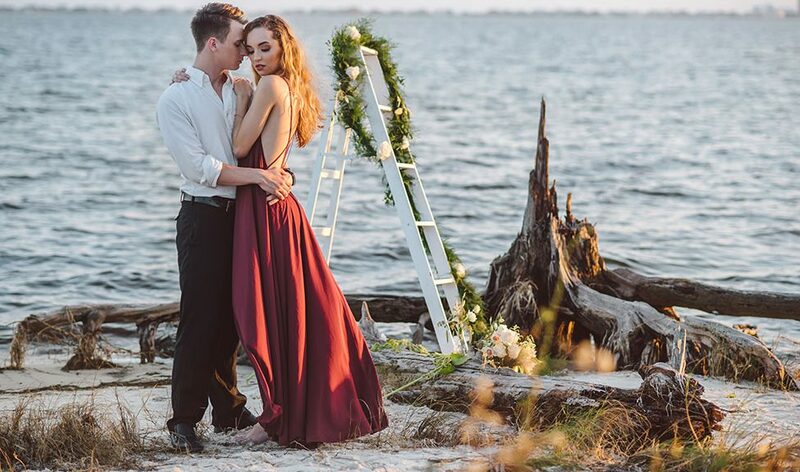 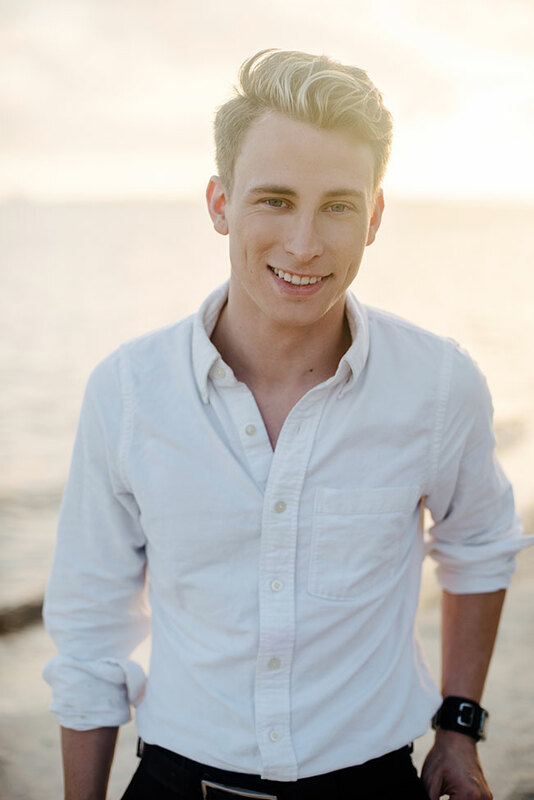 Set along the Florida shoreline, the team created a simple yet powerful setting that was highlighted by the setting sun. 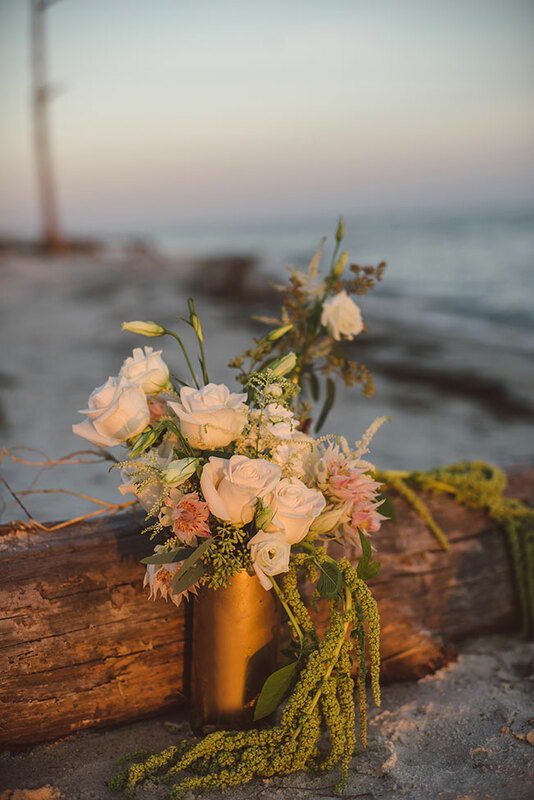 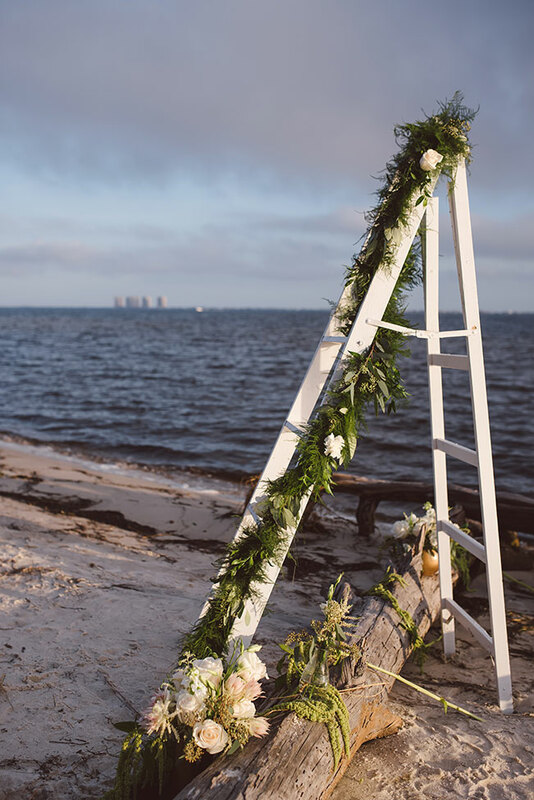 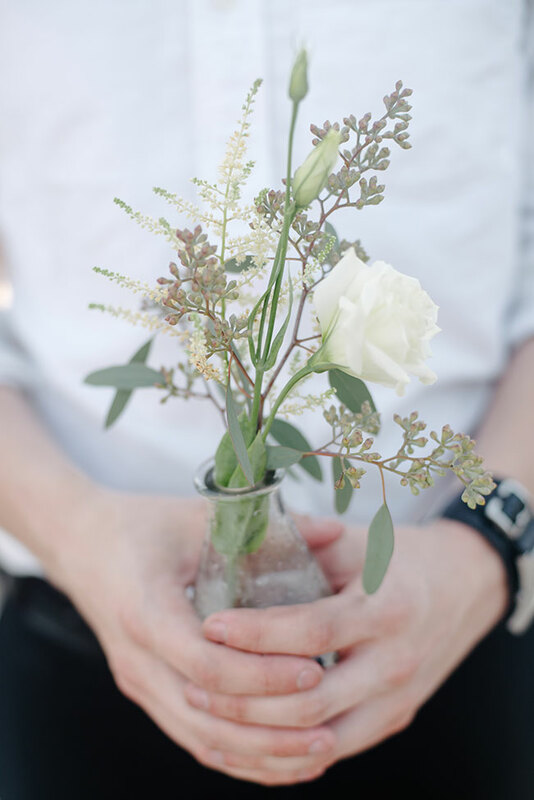 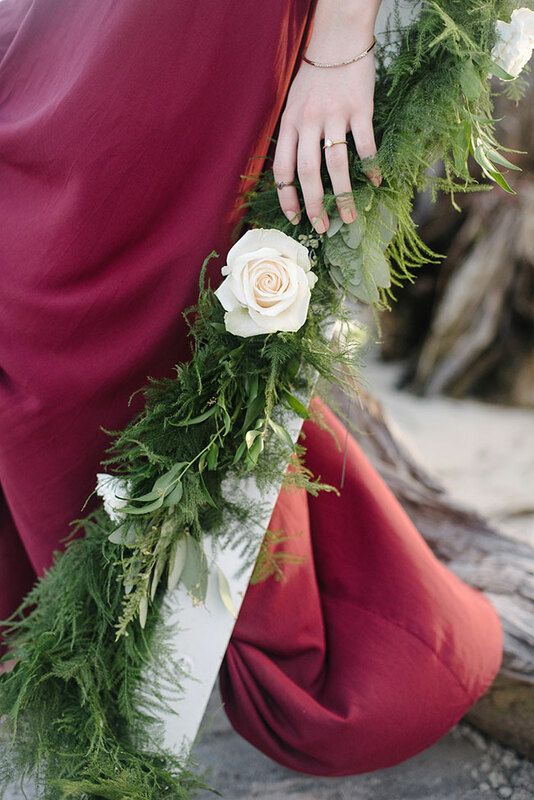 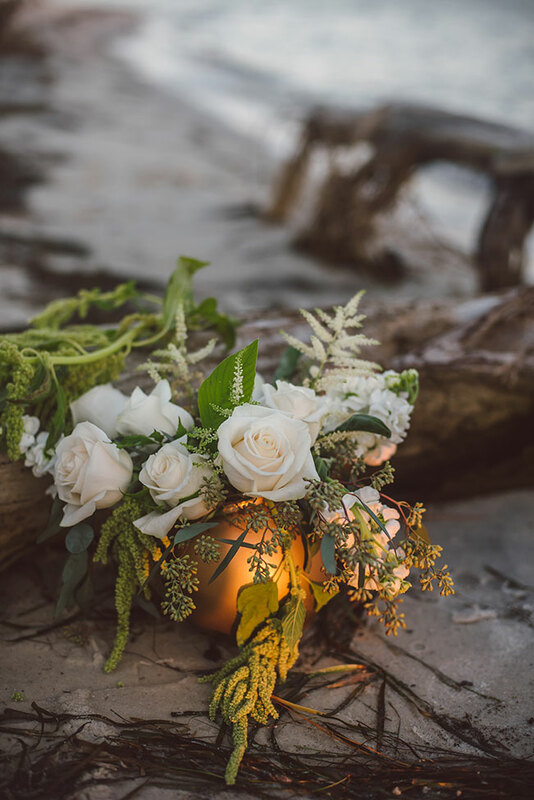 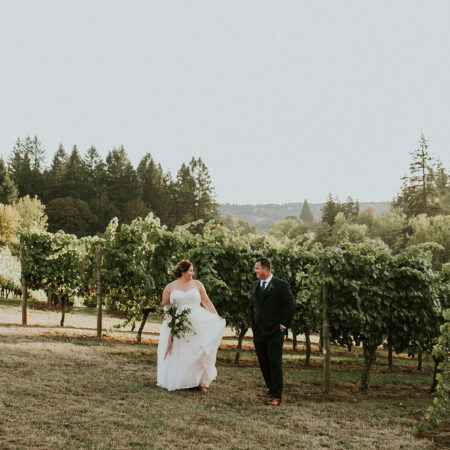 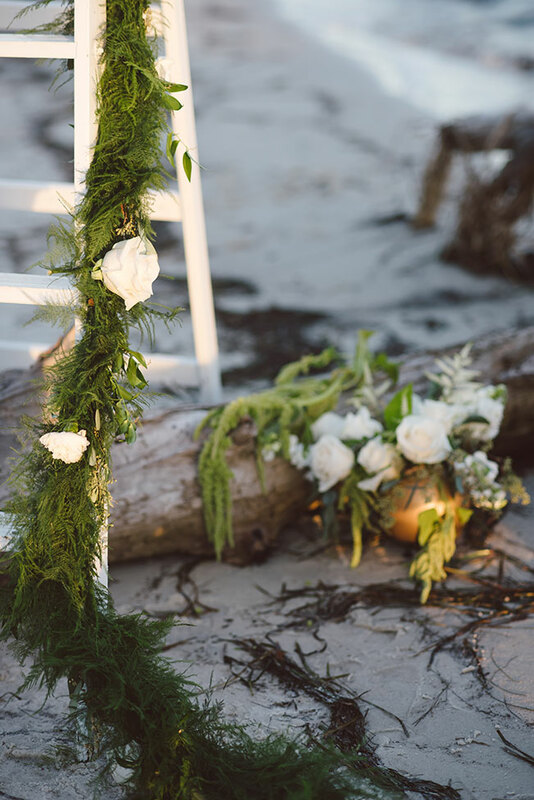 To dial up the romance, Leelee’s Blooms worked with drippy greens from the rose dotted garland that lined the step ladder to the Amaranthus which was the perfect accent to the beach swept floral arrangements. 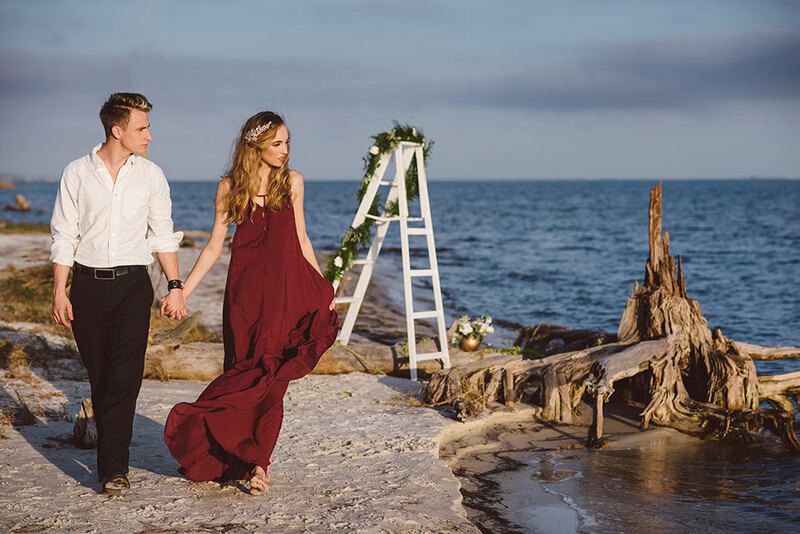 The final piece to the puzzle with a loose fitting burgundy dress that danced on the wind paired with loose lock beachy hair. 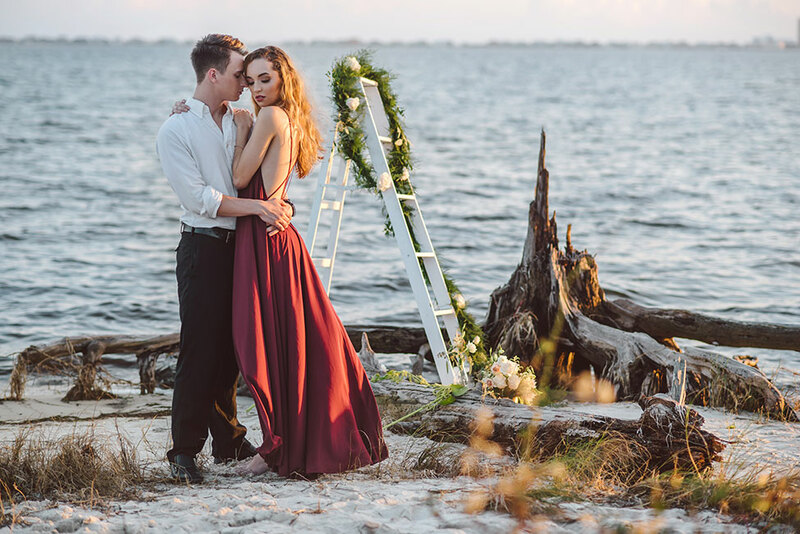 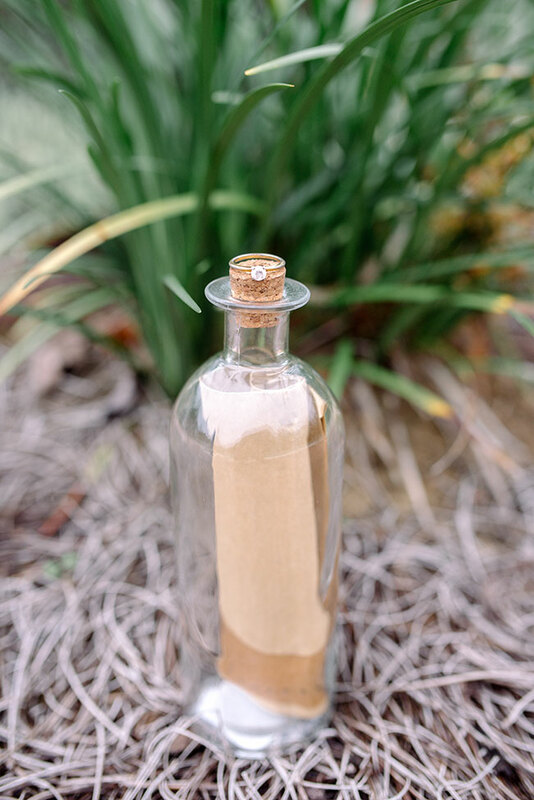 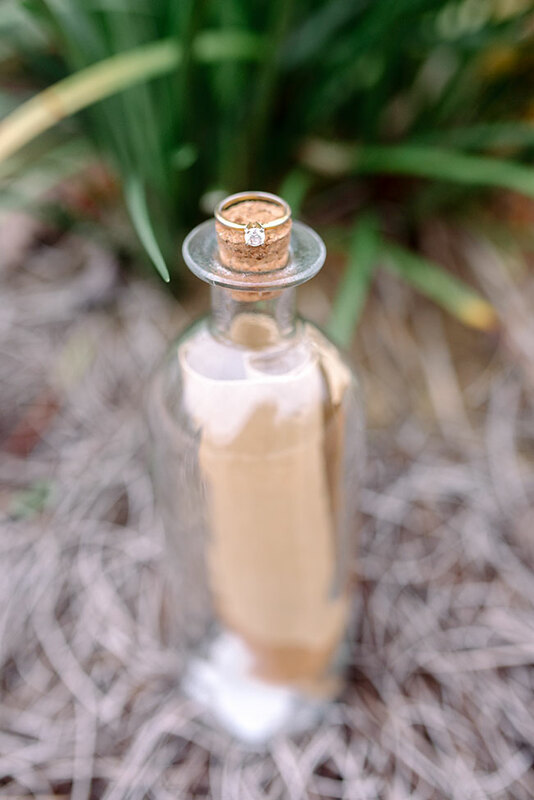 The end result is simple beach engagement session with a lot of heart that shows just how perfect a few key pieces truly is!